Comment: Home inspection needed for a condo sale in Southfield, MI. The unit is a 2-story townhouse with basement. Special attention for electrical, powerplant and water heater. A written document is expected upon completion of the inspection. Comment: I need a home inspection. The property is still winterized so during the inspection there will be no water running and heat because of broken pipes and broken furnace. I need this completed this week. Comment: New Tenant. I would like an inspection of the home. There is obvious water damage and I believe the landlord is downplaying the condition of the home. Comment: During two of the high wind events over the past months shingles have blown off my roof. I would like someone to take a look to assess if greater damage was sustained. Comment: As a result of several strong wind events during the winter, shingles have blown of my roof and I would like an inspection of the roof to determine the extent of any damage. Comment: Need a roofing inspection. I need to know the condition of the roof and the time frame before a replacement is needed. Roof was replaced in 1998. 3593 W Big Beaver Rd. Southfield Home Inspectors are rated 4.88 out of 5 based on 867 reviews of 46 pros. 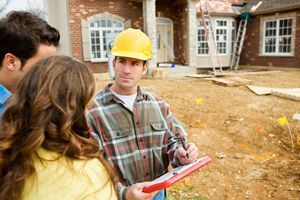 Not Looking for Home Inspection Contractors in Southfield, MI?